Throughout the summer months, it’s common for the rising temperature to make it difficult for your cat to stay cool. We’ve put together some helpful tips on how to keep your cat safe in the sun, whilst still making the most of the beautiful weather! Although many cats love to lay in the sun for hours on end, it’s still important for them to be able to cool off in the shade when they get too hot. Make sure they can always come back inside when they want to – and if possible, make sure they have access to shaded areas outside if your house gets too hot and stuffy. Your cat should have unlimited access to fresh, clean drinking water at all times. Consider leaving a few different bowls of water out for them – placing 1 or 2 bowls in shaded areas of your garden is recommended if your cat prefers to stay outside. White cats, or cats with pale ear tips and noses tend to face a higher risk of sun damage. Your vet can suggest a safe, high-factor sun block for your cat. Applying the sun block to the areas mentioned above when it’s sunny greatly reduces the risk of sunburn. If your cat has pre-existing damage to their skin, it’s advisable to keep them inside during the hottest part of the day. Although you may notice your cat shedding in the summer, some long-haired cats will also benefit from having their fur trimmed. Your vet will be able to give you advice about the safest way to do this without causing them any unnecessary stress. It’s not uncommon for cats to eat less in summer. If your cat is not eating much in hot weather, don’t panic. A scientific study published in 2014 highlighted that on average, cats take in 15% fewer calories in the summertime. If you’re worried that they’re eating too much or too little in general, seek advice from your vet. Cats only pant to cool down as a last resort, so if you notice them panting it’s strongly advised that you contact your vet straight away. Heat stroke and heat stress are, unfortunately, common and life-threatening emergencies for pets during hot weather. If you’re concerned that your cat could be suffering from heat stroke or heat stress, talk to your vet immediately. Make sure they have access to clean, fresh water and (if they let you) dampen their coat and paws with a cold compress. 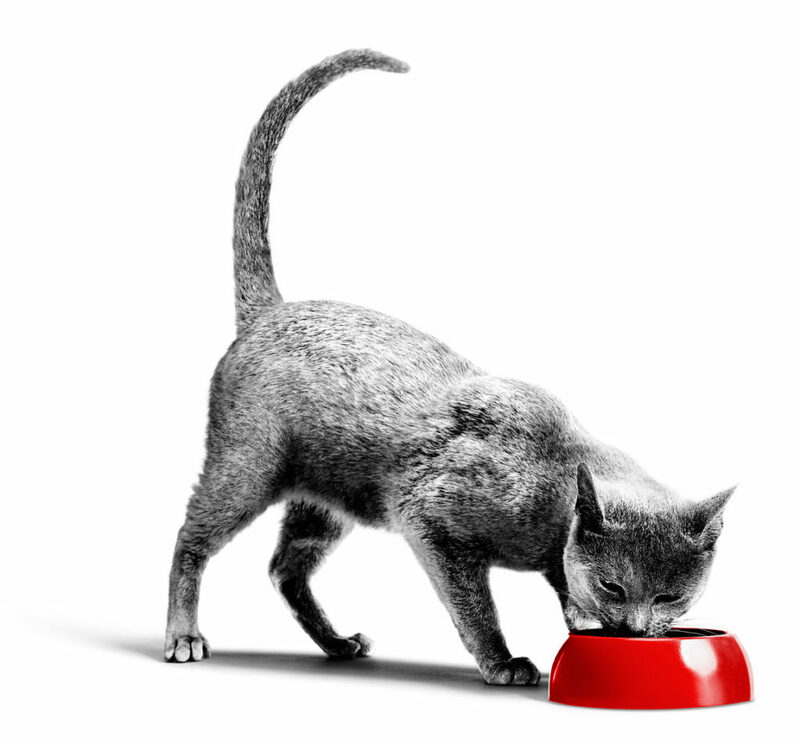 Our ROYAL CANIN® Rehydration Support sachets work to replace lost fluids and electrolytes in your cat during the hot weather. Your vet can provide this product if necessary.